After attempting this shot, on her westbound leg, but failing, I succeeded on the eastbound leg. 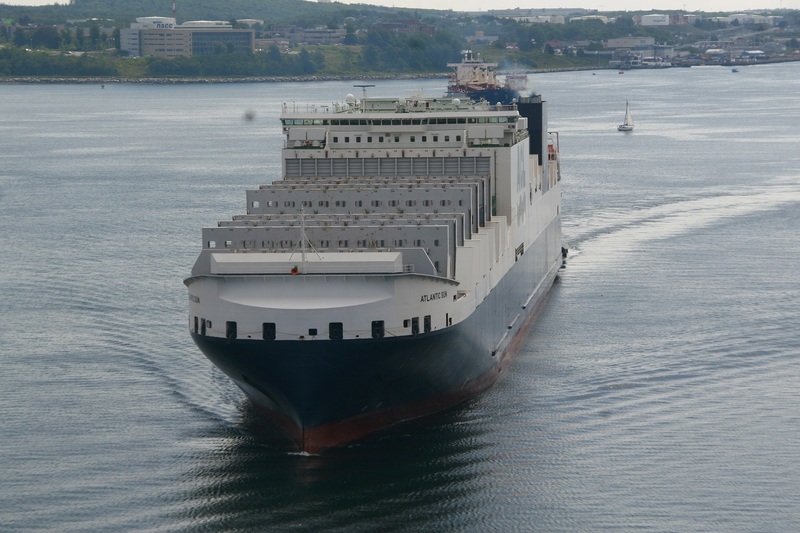 Atlantic Sun is a G4 class of container and RO-RO ship for ACL, and went into service late last year. On Arrival She took the Western birth at Fairview Cove, behind the Berlin Bridge. the K-line Vessel was due to sail at 11:30, but as of 1pm, was still at the dock. 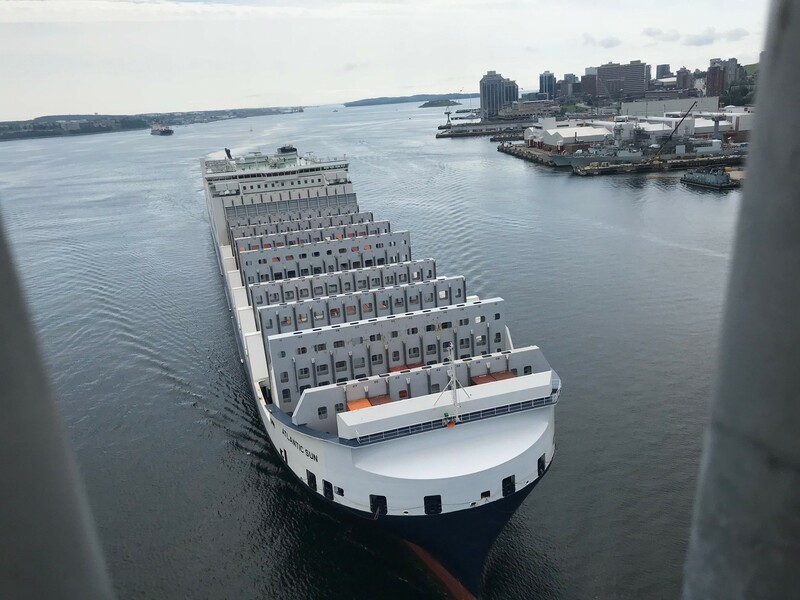 This entry was posted in ACL, container ship on August 10, 2018 by Peter.